Life is crazy. In addition to our three biological kids, a son-in-law, a daughter-in-law, and two grandkids, John and I have adopted 7 children in five years, most of them from foster care. These are kids who have faced severe trauma, and have many special needs which require intense therapy. I homeschool seven kids and write 2-3 books a year, plus my grandma lives with us. Yeah, just a little crazy. So what tips can you give for cultivating a quiet heart in the midst of a crazy, busy life? The Glorious in the Mundane with Christy Nockels. I understand the limited amount of time I have to pour God truths into my kids … and others. I’ve prioritized Bible teaching in our homeschool day, discipleship with my kids throughout the day (giving them the “why” of all we do), legacy Bibles, mentoring teen moms, speaking and writing. My husband and I stepped out on a limb together and we depend on each other’s support. Every day we talk about issues. We share insights. We pray together. We minister to each other when we’re weary. We give grace to each other. We praise each other and encourage each other. We try to forgive quickly. I’ve learned to be gentle with myself and tend to myself so I can tend to others. I understand that I can’t “do it all.” I understand that God loves me just as I am even if my house is a mess and my to-do list is as thick as a phonebook. I’ve started eating better, and hired a life coach to help me think through places I’m stuck. I get dressed and do my hair and make-up early in the morning. I take time to call or meet with a friend. I nap when I need it. I ask for help. I ask for prayer. And because I’m learning to take care of myself, I’m better able to care for my grandma, my husband, my career and my kids. 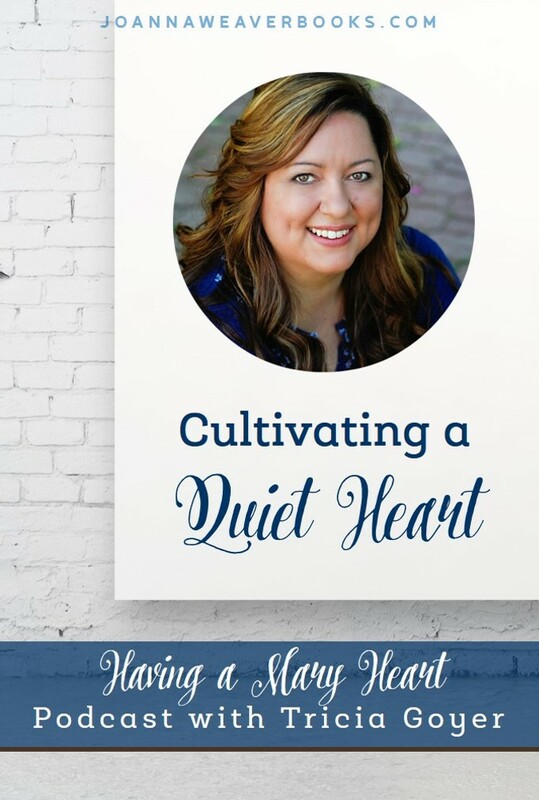 Click here to download the printable with verses to help you cultivate a quiet heart! Plus, stop by joannaweaverbooks.com to read the original post and learn more.